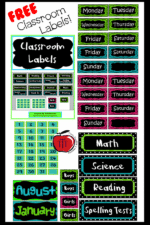 You are here: Home / 3-5 / Word Wall Labels For Your Classroom -FREE! 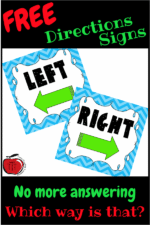 Word Wall Labels For Your Classroom -FREE! Do you have a word wall in your classroom? I am in the middle of getting ready for a new school year and I am organizing and decorating my classroom. As part of that I am thinking of how I want my students to learn and what resources they will need. A word wall is an important part of my students becoming more independent writers and surrounding themselves with text materials. Too much clutter on the walls! I don’t want too much clutter and distractions for my students. This is why I opt for a super simple word wall design. I don’t want crazy prints or complicated cutting projects so I go with straight lines and colors that tie into my theme. 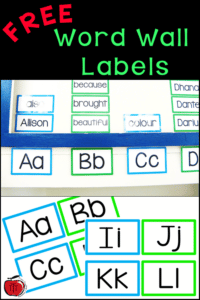 A simple blue and green, rectangular word wall label is perfect for me and my students. These word wall labels are FREE for you all and easy to cut out. Do you want to know how to get your FREE word wall labels? Of course, you do! Click on any of the pictures or right here to get a copy for yourself. I highly recommend laminating the labels after you print them. This way you will be able to use them year after year. Also , if you are like me and move things around a lot, peel the tape off the back when they are laminated is SO much easier! Another way to use the labels! If you do not have a classroom with enough wall space for a word wall, another alternative is a portable word wall. With a portable word wall you would put all your words on index cards (or computer generated cards). After your words are printed out, sort them by beginning letters and hole punch the corner of each card. 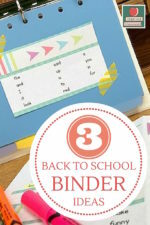 Use these labels as the cover for each letter, hole punching it as well. Using metal rings, place all the words and the letter label on a ring. 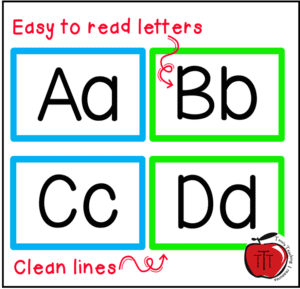 Store these in your classroom and students can easily grab a letter ring and take it to their writing spot! 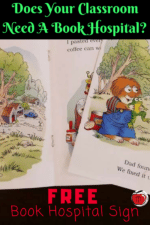 « Your Children Are Going to LOVE These Lunch Box Love Notes!